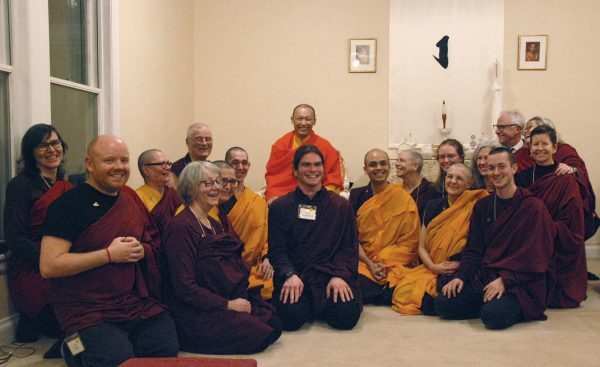 The Warriors Who Are Fearless participants have an audience with Sakyong Miphm Rinpoche during his teaching in Halifax in January 2017. 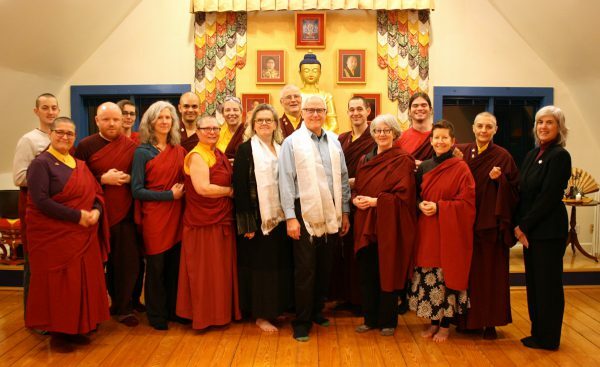 We are delighted to welcome the participants in the The Warriors Who are Fearless residency; an immersive nine month monastic residency at Gampo Abbey. In the vision of Sakyong Mipham Rinpoche, the Shambhala Monastic Order joins the monastic lineage of the Buddha with the Shambhala terma teachings to offer an embodied expression of the dignity of enlightened society. We invite you to join this sacred training ground, deepen your practice of warriorship, and discover how immersion in monastic life enriches your practice and brings out the awakened energy of society. Residents will be participating in creating a culture of basic goodness through study, service, and community life grounded in meditation. We will begin with the teachings on the Tiger’s contentment and the Snow Lion’s joyful discipline and then leap into the fearless path of the Garuda. Study and practice will draw from the teachings of the Sakyong Lineage supplemented by material from the Mahayana Sutra tradition, including deep study of the Heart Sutra. • Four hours of daily service with a weekly nyithun and open day. Prerequisites are the Refuge Vow, Shambhala Training Levels I-V, the Everyday Life Series of courses, and the Rigden Weekend. If these present logistical obstacles, we may be able to help you complete them here though this would need to be discussed in your application process. 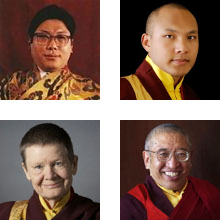 Please note: Acharya Pema Chodron will not be in residency during this time. For more information on living at Gampo Abbey as a resident participating in our residency program, download our Residents Handbook.